For this transit, the whole astronomical community was mobilized. In addition to travel problems there was the Seven Years War, a quasi-global conflict, which set ablaze not only Europe but also the oceans and colonies. 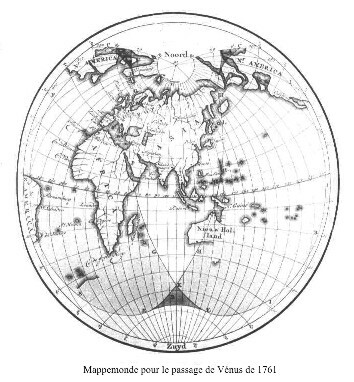 Delisle mobilized astronomers worldwide to observe this transit and sent his map of the visibility of the 1761 transit to more than one hundred correspondents. 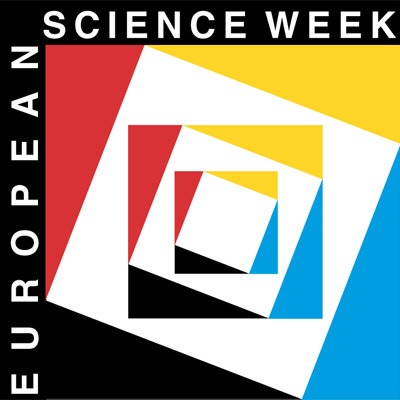 In France, the Académie Royale des sciences organized three observing campaigns. Two of these campaigns were in countries allied to France. César-François Cassini de Thury (1714-1784) went to Vienna on the invitation of Archduke Joseph; Jean Chappe d'Auteroche (1728-1769) was invited to go to Tobolsk in Siberia by Czarina Elisabeth. The third campaign was that of Alexandre Guy Pingré (1711-1796) who went to the island of Rodriguez (north of Madagascar) by means of the Compagnie des Indes. A fourth astronomer, Guillaume Joseph Hyacinthe Jean-Batiste Le Gentil de LaGalaisière (1725-1792), went by sea to Pondichery in India in order to observe the transit; unfortunately his travel was interrupted as the city of Pondichery had been taken by the English! His ship went back to the Ile de France (nowadays the island of Mauritius) where Le Gentil decided to wait for the next transit eight years later. Lastly, the astronomer Joseph-Jérôme Lefrançois de Lalande (1732-1807) observed from the Luxembourg Palace in Paris. English astronomers organized two observing campaigns at remote locations. Nevil Maskelyne (1732-1811) went to the island of St. Helena where he was unable to observe the transit because of bad weather. A second team, composed of Charles Mason (1728-1786), James Bradley (1693-1762) and Jeremiah Dixon (1733-1779) was supposed to observe from Bencoolen in Sumatra. In fact, they observed the transit near Capetown since Bencoolen had been taken by the French! John Winthrop, a Harvard professor, went to St John (Newfoundland) where he succeeded in observing the last contact of the transit. Other countries decided to participate in the campaign. Maximilian Hell of Germany made his observations in Vienna,Petr Wargentin of Sweden in Stockholm, Christian Horrebow of Denmark at Copenhagen, Eustacio Zanotti of Italy atBologne and De Almeida of Portugal at Porto. Four Dutch astronomers also took part: Johan Lulofs at Leiden, Jan deMunck at Middelburg, Dirk Klinkenberg at The Hague and Johan Maurits Mohr at Batavia (Jakarta). The total number of professional observers for this transit was 120, at 62 sites (S. Newcomb, 1890). It is interesting to note that some of the observing sites had been selected by Halley (Bencoolen, Pondichéry, Batavia) in 1716. The results of all these campaigns were rather disappointing as the values for the solar parallax varied from 8.5" to 10.5", according to who reduced the observations. The great margin of error was due to two principal causes; poor knowledge of the longitudes of the observing sites and the phenomenon known as the black drop which affected the estimation of the instants of the first and the last interior contact.